Port-Royal National Historic Site was a fun stop on Durline's Natal Day weekend tour. 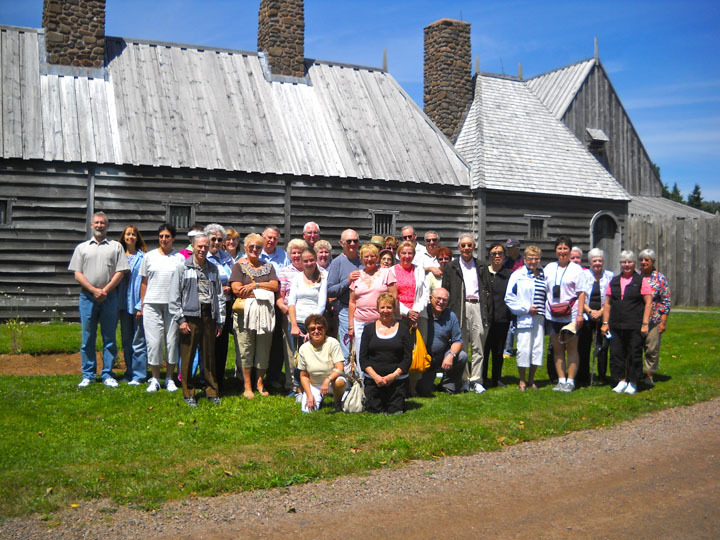 One of the 2011 Natal Day highlights for Durline Melanson, President of The Historical Association of Annapolis Royal, was the opportunity to welcome a group of friends from New Jersey to historic and scenic Annapolis Royal, Nova Scotia. These special visitors were treated to an area tour of Canada’s first permanent European settlement and a memorable “Stroll Through the Centuries” in Canada’s largest National Historic District. This entry was posted in Explore Annapolis Royal, Heritage, Tours, Uncategorized and tagged Alan Melanson, Annapolis Royal, Durline Melanson, Explore Annapolis Royal, Historical Association of Annapolis Royal, What to see and Do, What's Happening. Bookmark the permalink.